Watch the shredding close up through the Clear Top Kannastor Grinders. Unique blade design, set in crystal clear Lucite, easily shreds everything from coffee beans to nuts and of course herbs and tobacco as you watch. External diameter of this fine grinder is 2.2". 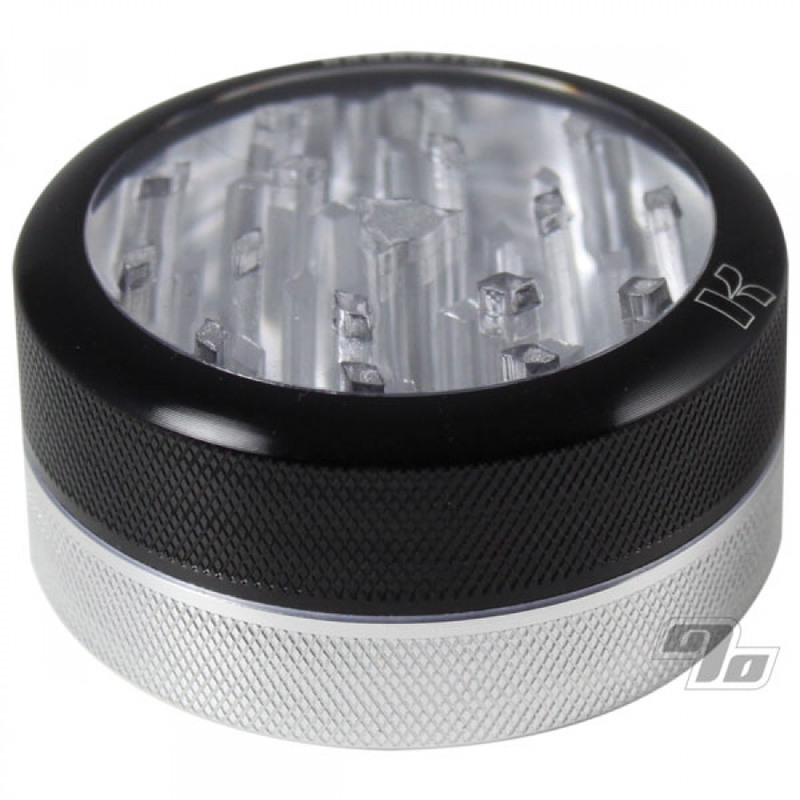 A clear polished lucite grinder top with aluminum teeth offers a perfect window to watch the powerful grinder do its work. Strong magnets secure the top grinder component. 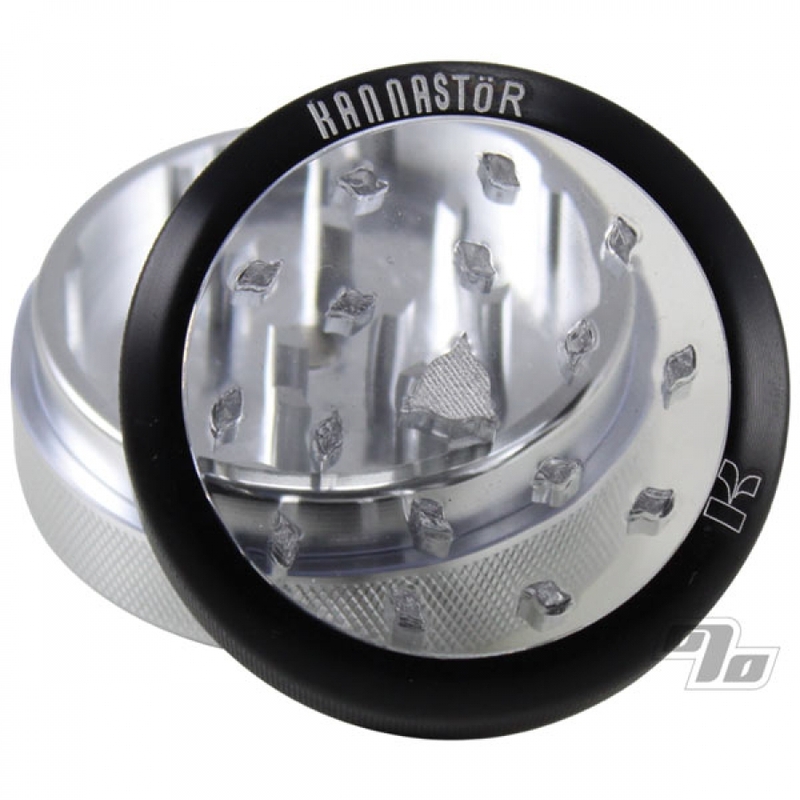 All Kannastors feature premium aluminum construction with a one year limited warranty. It does what it's designed for.